Creative Composition is just an open space where we can jam and learn some cool techniques for improvisation. I fell in love with improv about three years ago, and it has been there for me ever since. I love how I can connect my love for music to dance and compliment a track by just dancing to what I feel in the moment. So if you wanna jam with me and learn advanced techniques and tasks! Hit me up and join Creative Composition! My favourite part about QDC is the fact that it gives students the outlet to relieve stress and express themselves in a safe environment. University is very stressful and the ability to decompress in a creative way is absolutely amazing and something I am glad to be a part of. 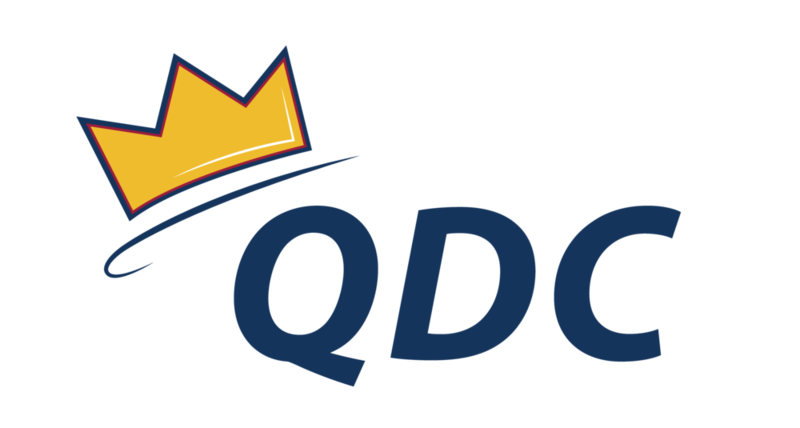 Having a network of supportive friends and teachers that share a similiar interest can completely change someone's entire career at university, and QDC allows for that experience. What does dance mean to you? Dance has been there for me throughout my entire life in order to express myself and enjoy and learn about the creative process. We are so granted as humans with the ability to use our bodies and understand certain movements by watching each other. For someone who keeps in a lot of emotion, dance became my complete outlet to surround my self with creative minds and the ability to let go of anything I had been holding in. Favourite place to travel: My fav place that I have travelled to is Thailand! Secret talent: My secret talent is that I have a really loud tongue click (Lol I don't know how to explain it). I was born and raised in Calgary, Alberta where I trained at Drewitz Dance Productions. I attended an arts elementary school as well which helped me improve and understand all other art forms. I then moved to Oakville, Ontario in the summer of 2013. This is where I started training at Canadian Dance Company and attended Cawthra Park Secondary Schools's Dance Rap Program. Throughout my time at Cawthra I also danced in the Repertoire Company that took place after school. These practices developed my understanding about dance as a whole and the process of internally feeling movement. Throughout my entire competitive dance career of 12 years, I studied, ballet, pointe, tap, musical theatre, hiphop, lyrical, contemporary, and jazz. With learning multiple styles of dance with foundations of ballet I have been able to understand my body's movement and I really focus on that in my improv. I learned modern throughout high school, which immensely helped my general knowledge about movement and where it stemmed from. I am so grateful for my experiences throughout my career so far and can't wait to continue into my future. Check out some of Brynn's moves to see if Creative Composition is the right choice for you!